The Preschool, with approval and support of Hidenwood Presbyterian Church, is charged with providing and maintaining a weekday education program for children ages two through four in an environment that fosters Christian principles while providing an educational experience designed to help the child grow intellectually, socially, spiritually, emotionally and physically. 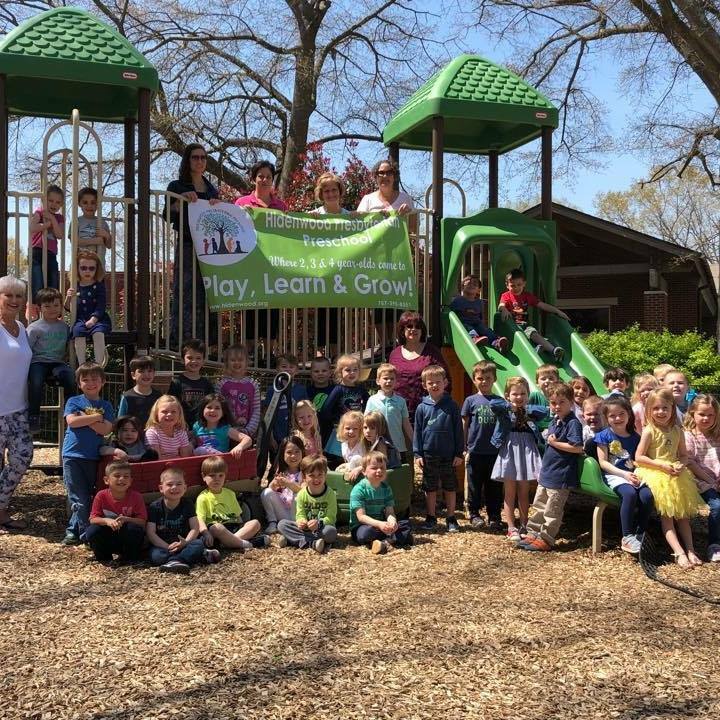 HPP is a play to learn preschool with a Level 4 Virginia Quality rating. We are dedicated to developmentally appropriate practices. Our classrooms foster positive relationships, engaging activities with student choice, and positive behavior management. Our teachers intentionally provide an array of experiences for young children to explore. We provide quality experience in a safe physical environment and our teacher-student ratios are low. We value family involvement and a smooth transition to Kindergarten. Let’s play, learn and grow together! Although our curriculum does not teach religion, our staff members have their own church affiliation, and we strive to provide a Christian atmosphere emphasizing sharing with and caring for one another and acknowledging a God who loves us all. Our preschool activities are designed to help children develop skills in preparation for the formal learning that will be required in kindergarten and beyond. Helping Your Child Play, Learn, and Grow! 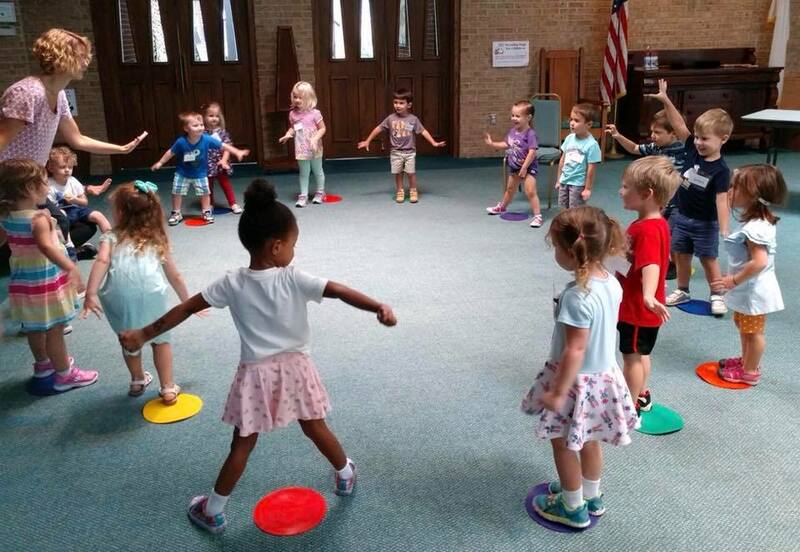 A typical day includes: circle time for group discussion and sharing, playground time, creative art projects, directed learning of new concepts, singing and moving to music and rhythm instruments, snack time, free play in classroom, and use of learning games. The two-year-old program is a co-op program. One parent (or adult designated by parent) will help in the 2s classroom each day. Parents must sign an agreement to take their turns in order to participate in the program. It is not expected that the 2s will be toilet trained, but it is expected of the 3s & 4s. Children currently enrolled and their siblings, children and grandchildren of Church members or the Preschool staff have priority registration. After the two-week priority period, open registration begins. The director of the Preschool will decide, based on space and requests, which classes will be formed. We could not be more pleased with our daughter’s experience at Hidenwood Presbyterian Preschool! This is her second year and we are amazed at how much she has learned during this time. The teachers and staff are truly exceptional. She adores her teachers and it is heartwarming to know how much she is loved in return. We love HPP! Hidenwood meant so much to our family. My children were nurtured by loving teachers who became great friends. They were introduced to school in a playful and encouraging atmosphere that sent them to Kindergarten armed with confidence and lifelong friendships. I am sad our time at Hidenwood is over but we will forever be grateful for all we gained there! Hidenwood Presbyterian Preschool has been an excellent fit for our family--with healthy structure, helpful encouragement, and constructive support. The culture is marked by deep commitment to families and providing an excellent foundation for a life of learning. We have no doubt our kids have and will continue to benefit from our time at Hidenwood--thank you Hidenwood family! !